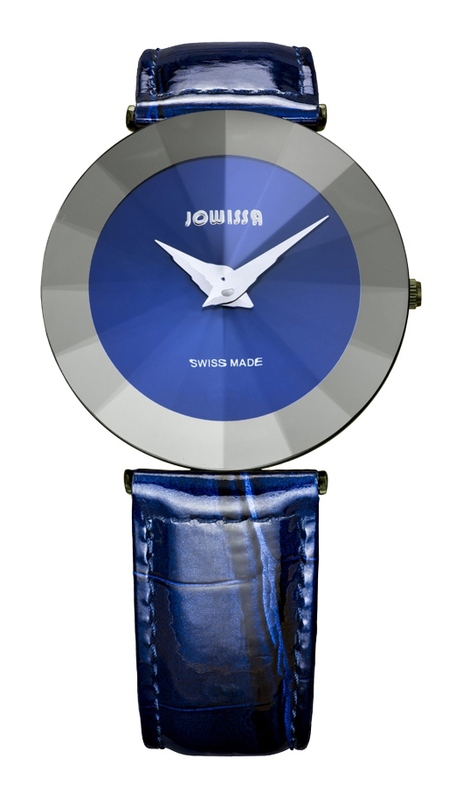 An overview of the watches produced by Jowissa reveals a common thread: a Swiss watchmaker that dares to combine different materials and shapes in its designs to create watches that are anything but ordinary. The Pyramid Collection is no exception and represents a fine example of what the brand does so well – fuse style with originality and affordability. The name Pyramid refers, quite literally, to the shape of the watch’s crystal, which is made of tempered mineral glass in a pyramid cut. The shape also resembles the lower half of a brilliant-cut diamond turned upside down, infusing the design with an inherent gemstone quality that can be dressed up or down. 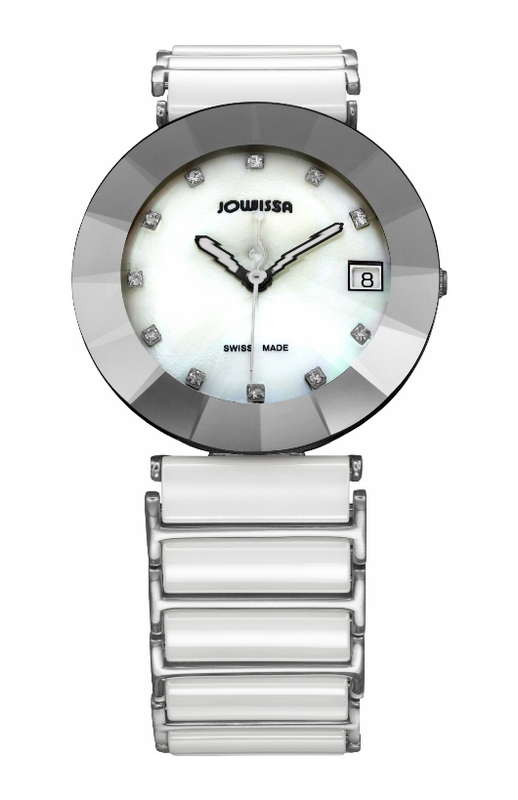 On some models, the pyramid-cut crystal enhances the watch’s elegance; on others, it adds to the watch’s playfulness. The choice of a strap or bracelet is a factor: models paired with an alligator-patterned leather strap range from casual chic to more refined in appearance, while those with a ceramic two-tone bracelet are great for everyday wear. Either way, the pyramid-cut crystal is attractive and original. Most watch crystals fit into the inside of a surrounding bezel, whereas the Pyramid’s crystal extends over the entire dial of the watch, thus doing away with the bezel as an important exterior component. Moreover, this design amplifies the Pyramid’s symmetrical qualities. 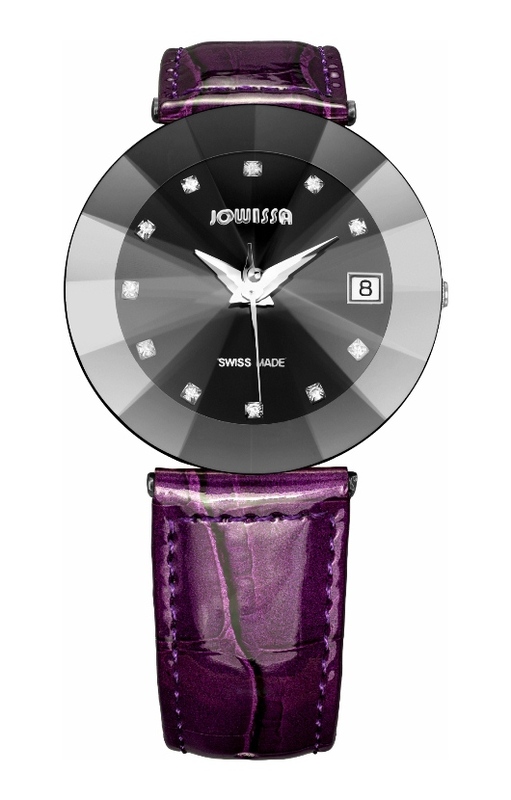 As is the case with any multifaceted gemstone, the pyramid-cut crystal refracts light, meaning that depending on the angle in which the watch is viewed, the elements on the dial may twinkle and shimmer. To ensure this does not hinder legibility, Jowissa chooses short but wide watch hands that minimize the effect on the wearer’s ability to tell time. Similarly, dial embellishments on Pyramid watches are limited to allow the refracted light to enhance the dial colors and textures, including mother-of-pearl on some models. Pyramid models that use decorative stones as hour markers also have a date function, while those with no markers on the dial are time-only pieces in keeping with the relatively uninhabited aesthetic. In every case, the circular and celestial quality of the watch’s dial and case designs is an attractive counterbalance to the geometric pyramid-cut crystal. 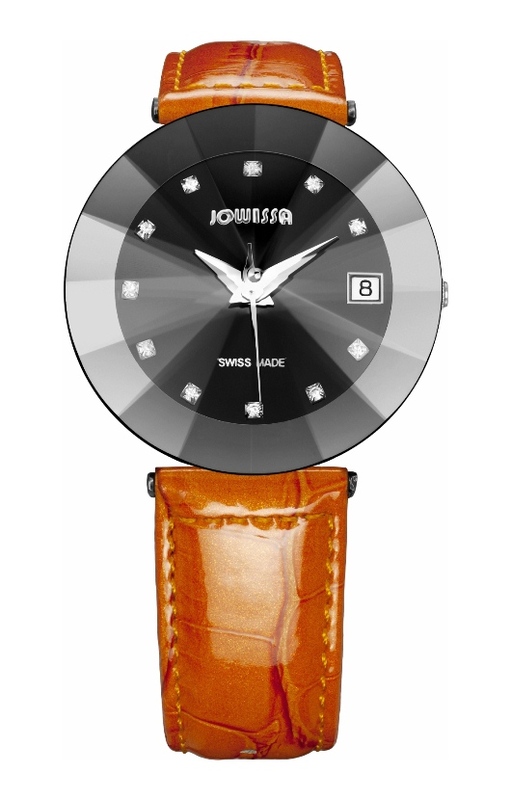 All of the cases are made from stainless steel and are 36 mm in diameter, which in sizing terms is a comfortable medium and appropriate for formal or casual wear. Technical details include water resistance to nearly 100 feet and accurate Swiss made quartz movements made by Ronda or ETA. Jowissa celebrated its 60 year anniversary in 2011. The Pyramid Collection, like other collections in the Jowissa catalog, depicts the personality of this established brand so well and points to its ideals for the future – forget the ordinary, embrace the exceptional and unexpected. 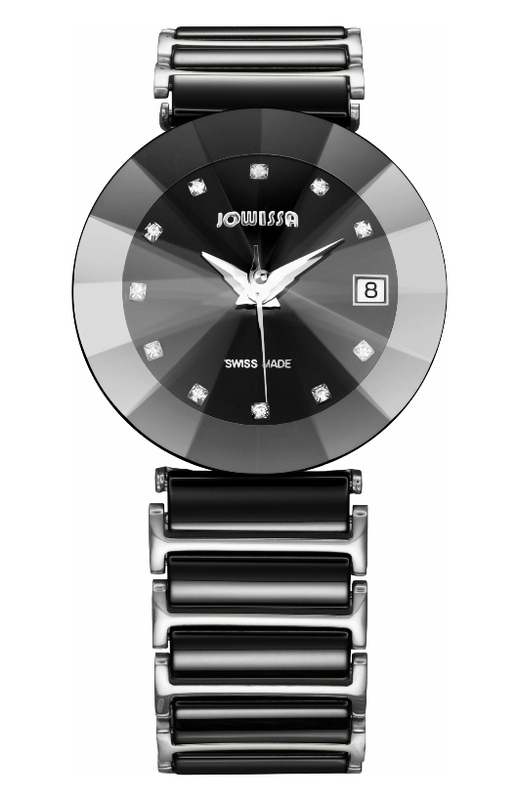 Contact an authorized Jowissa dealer today. 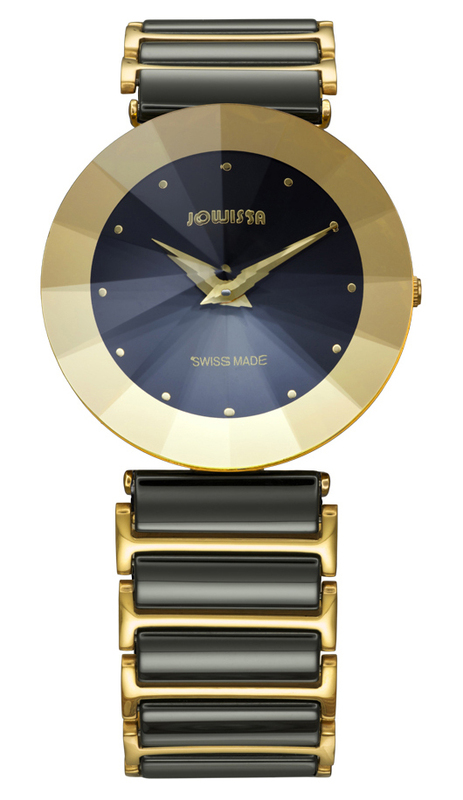 Gevril Group is the sole US agent for Jowissa Watches. Contact Karen Norman, Jowissa Brand Manager, by email or at 845-425-9882.